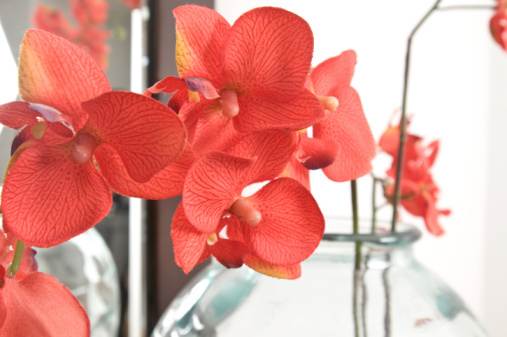 Florists rely on the quality and freshness of their flowers to build and maintain a loyal clientele. To ensure their supplies of cut flowers last as long as possible, their coolers and refrigerators must consistently be kept at precise temperatures. Keeping flowers at the right temperature preserves their beauty. A floral cooler or refrigerator's ideal temperature is between 34 and 36 degrees Fahrenheit for cut flowers in a hydrating solution, although many units hover at around 38 F. Temperatures that fluctuate 5 degrees plus or minus of 38 F can destroy or shorten the lives of flowers. If the flowers have been removed from the hydrating mixture and placed in a preservative emulsion, they store best at a constant 34 F.
Fresh flowers in a display unit also keep best between 34 and 36 degrees Fahrenheit to prevent drooping or lost blooms. The containers should be plastic as metal may alter the pH balance of the water or alter the preservative qualities of additives. Besides controlled temperatures, the humidity of floral storage areas must be carefully controlled. Storage and display units need humidity levels of 90 to 95 percent. 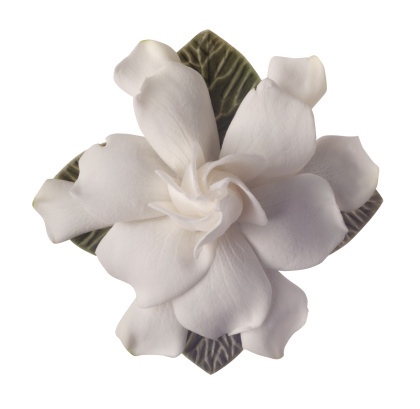 Flowers placed in preservatives require a minimum humidity level of 80 percent.